At the end of a long day, a bowl of flavored popcorn can be one of the best, simplest treats to reward yourself with for a hard day’s work or just a busy day in general. It’s a great snack for any occasion, and most movie nights just aren’t complete without it. 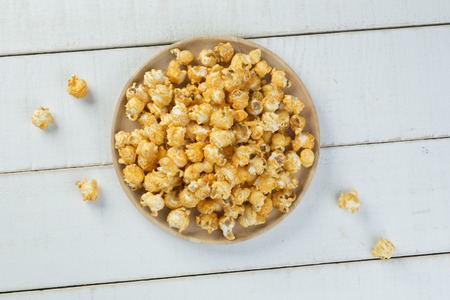 While classic butter flavored popcorn is always a sound, reliable route to take, consider adding a few other ingredients to make the treat and the evening a little more festive. 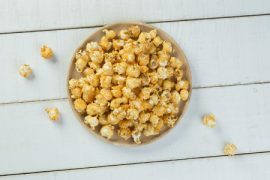 This milk and Manuka honey popcorn recipe is a great introduction to flavor combinations, and it’s doubtful you will regret this worthy leap of faith. So, without further adieu, let’s get started on making that recipe! To begin, spray a mixing bowl as well as a baking sheet lined with parchment paper with non-stick cooking spray. Heat canola oil in a saucepan over medium heat. Add the popcorn kernels, cover the saucepan, and continue cooking, shaking the pan frequently until the kernels are mostly popped. There should be about 3 seconds between each kernel pop. Transfer the popped corn to the sprayed-down mixing bowl. In another saucepan, cook the sugar, water, Manuka honey, butter, and glucose syrup over medium heat, without stirring the mixture, until it becomes a deep color of amber. Then, add the salt to the mixture. At this point, pour the Manuka honey caramel over the popcorn and stir to coat. Pour the Manuka honey corn out onto the prepared baking tray. Quickly and gently separate the popcorn while it is still warm. To make the full milk and honey recipe, you also need this kettle corn recipe for mixing. Follow the instructions below as soon as you finish the honey half! Add the white popcorn kernels, cover the saucepan, and cook the kernels. Shake frequently until the kernels begin to pop. Add the sugar and continue cooking, shaking as you go, until the kernels have mostly popped. Remember, there should be roughly 3 seconds between each pop. Spill the kettle corn out onto a baking sheet lined with parchment paper and season it with sea salt and milk powder. Mix the Manuka honey popcorn and kettle corn together. Store in an airtight, dry container for up to 1 day. Enjoy your Milk and Manuka Honey Popcorn!